Really? Already? Another week has flown by (possibly because I've been sick with a nasty head cold for most of it) and it's time for another As You See It Challenge! This week is another sketch! 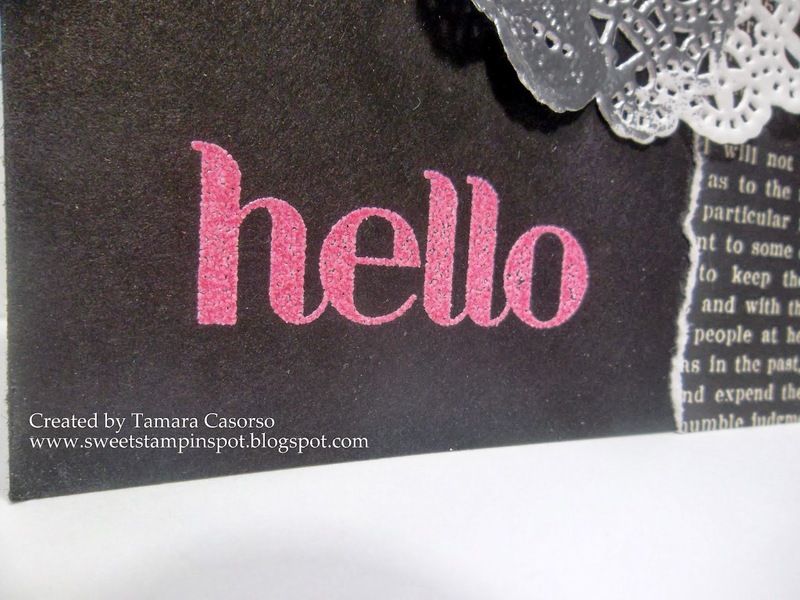 I made this card back in August (yes, us DT members are given a few weeks sketches in advance ;) so I've been waiting to share! I had planned to give this card to my sister-in-law for her birthday back in September, but Melon Mambo (hot pink) just isn't her. 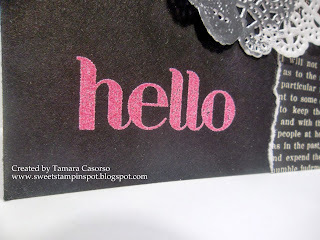 I could really use some purple embossing powder! butterflies! 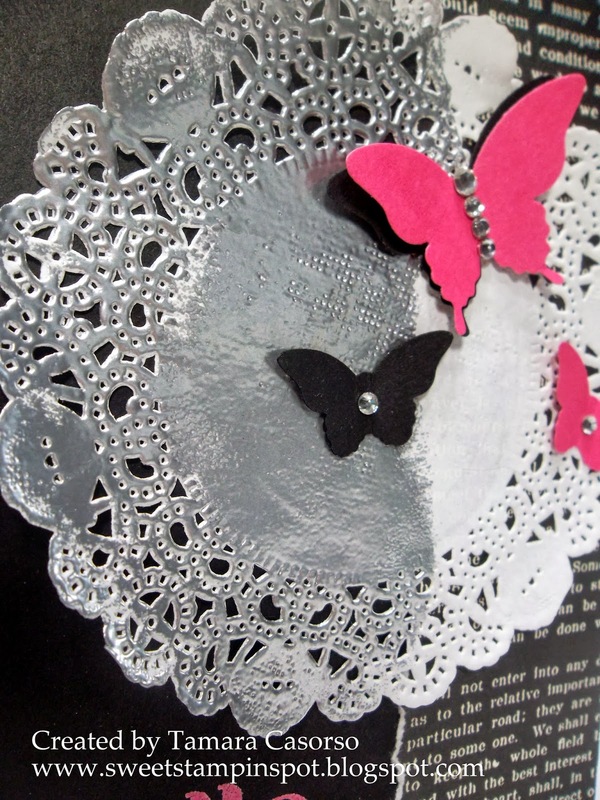 I used both the Bitty Butterfly and the Elegant Butterfly punches and stuck on a few rhinestones. 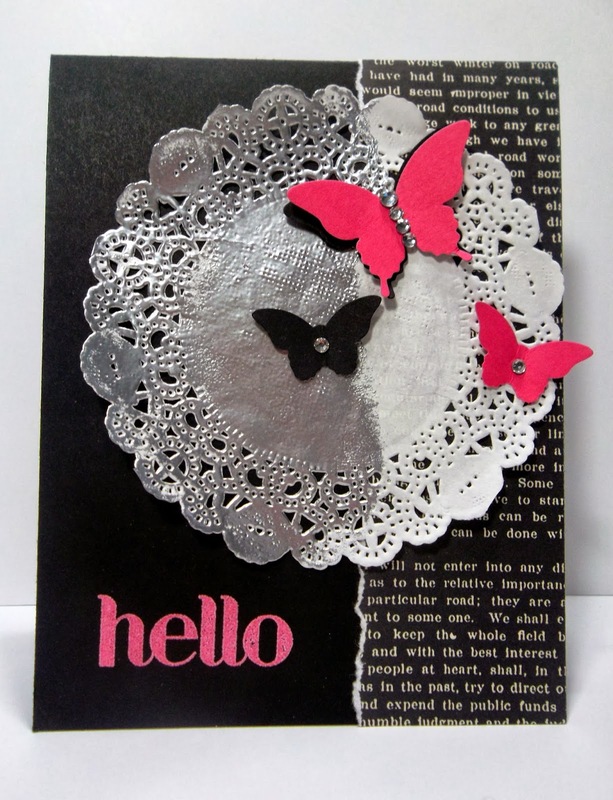 The largest b-fly is a black one first, then a Melon Mambo one on top with the wings gently folded to make it look like it's flying (or stuck to the card and trying to fly away). 2. Apply versamark over half of the doily. Try not to have the straight edges of the pad. Blend a little. 3. Pour your embossing powder on in your choice of colour (I used silver here). 4. Dump off excess (preferably back into the container to save the sacred powder and avoid it from getting blown away in step 5). 6. Admire your handiwork and give yourself a pat on the back. You just gilded something. 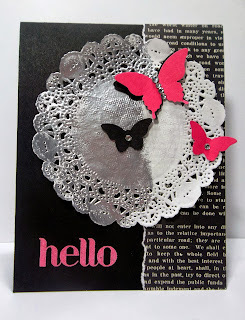 Hope you enjoyed today's card and easy peasy tutorial! Be sure to check back in often and PLAY WITH US at As You See It Challenge!